This Seiko Sportura Kinetic Divers SKA511P1 Men’s Watch is one of the leading timepieces in the collection of Seiko. 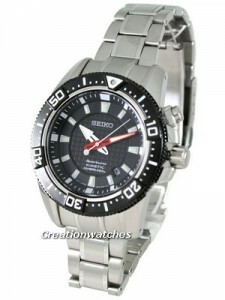 It is an Innovative design by Seiko Watches. This Seiko Sportura Watch featured in a high level of Stainless Steel case and Bracelet. It is really a great watch. This ultimate Seiko Mens Watch is a powerful timepiece not only in design but also with special features like that of a Kinetic Movement. By using this feature the watch does not requires a battery. It runs by the motions of human wrist or we can say it consumes human power and converted into electrical energy for working. This Seiko Kinetic Watch has a formal look. For men who desire to enjoy a luxury life, Seiko presents this amazing timepiece. It is guaranteed that you will fall in love with this timepiece instantly. It is having a classic black dial and is covered by the scratch resistant Hardlex Crystal glass. The look of this awesome watch is sophisticated, modern and elegantly expensive. The versatile dial contains Date Window, One-Way Rotating Bezel, Screw Case Back, Screw-Down Crown and Buttons and Luminous Hands. The watch is having an Analogue Display. 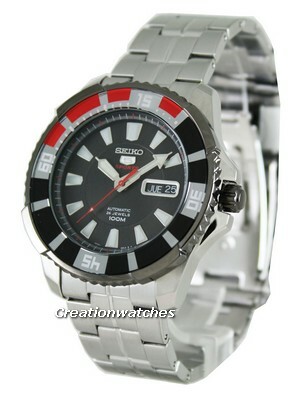 This classy designed Kinetic Watch Seiko would make you look stylish and modern. The bracelet of this watch is having Three-Fold Clasp with Push Button Release. It is very comfortable in wearing. It is a Divers watch. The water resistant of this watch is up to 200 meter. The case diameter of this watch is 44mm. The case thickness of this watch is 12mm and the weight of this watch is 195 grams. Newsletter : Mother’s Day Sale: Up to 75% Off on Women’s Watches – Coupon code inside!! Buying a dive watch? Know the ratings first!